5 treatments are recommended and are spaced 3 to 4 weeks apart for best results. If your looking for subtle results this is the treatment for you!! 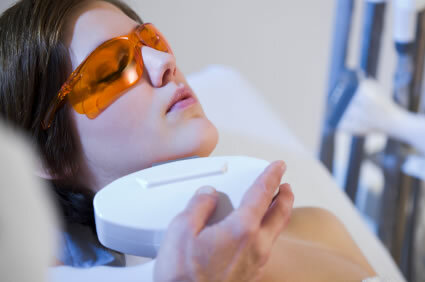 IPL-PHOTOFACIALS Full Face $80 per treatment or purchase a package of 5 treatments and receive 10% off. Individual areas: Cheeks $60/Chin $50/Nasal Capillaries $40 per treatment. Treatments for hyperpigmentation/sun damage $20 per spot. If laser is not a option because of a contraindication with photosensitive medication(s) or sun exposure etc… a skin lightening cream Dermaspot may be recommended. This product is manufactured and distributed in Montreal, Quebec by Dr. Mehran Skin Care (This product can only be purchased and distributed through a Health Care Skin Professional).